Oftentimes it can be difficult when visiting an area to find things to do on a Monday. It’s one of our more popular questions at the beginning of each week in our Visitor’s Center. In spite of what you may believe there are plenty of things to do, places to eat as well as shop throughout Lafayette. We compiled a brief list to help guide you on your Monday Adventure. Don’t see one of your favorite places to visit on a Monday? Send us an email and we’ll be sure to add them to the list! 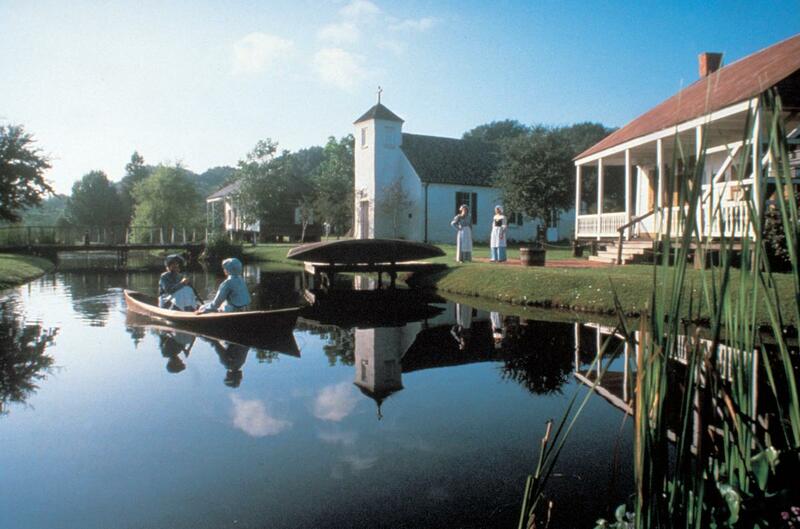 Acadian Village is the perfect Monday stop whether you&apos;re traveling solo or with the family. Take a step back in time while walking through the restored authentic Cajun village and learn about the Acadians and how life was in the 19th century. Be sure to check out the gift shop on site that has local art as well as plenty of souvenirs for friends and family. If you know and love TABASCO products, Avery Island is a must see! See where and how the famous pepper sauce is made during the factory tour and learn the history of the Mclhenney’s while looking around the museum. After the tour and museum taste some Cajun food with Tabasco flair in Restaurant 1868, walk around the Country Store to pick up a few souvenirs and visit the Jungle Gardens & Bird City, a wildlife preserve on the island! Located on Jefferson Island, the semitropical gardens along Lake Peigneur are a picturesque place to spend the day. Take a tour of the Joseph Jefferson Mansion and the Rip Van Winkle Gardens to learn more about the history of the island. Rip’s Rookery is located on the grounds and is home to 12 species of exotic birds. When you’re done touring, stop in Café Jefferson for a fantastic meal with an amazing view! While you’re visiting Lafayette it’s important to not only see the Parish, but taste it too! Visit Parish Brewing Co. in Broussard to get a tour of the brewery, taste some local beers and pick up a growler to bring back to wherever you call home! Be sure to visit their website for special events like trivia and new beer releases. Take a walk through the historic Shadows on the Teche, a classic revival style home built in 1834, located on Main Street in New Iberia. Let tour guides take you through the home that was built for sugar planter David Weeks and is now a breathtaking view of what life was like in the 1800’s. Tours start every 15 minutes and include a video before the tour and a 35-45 minute walk through the home and the gardens surrounding the historical site. Here in Lafayette, everything is centered around food! There are so many amazing restaurants in the area that it can be almost overwhelming to try to pick just one. If you’re here for a visit and want to taste as much food in as little amount of time, and also get a Lafayette history lesson, jump on the bus! 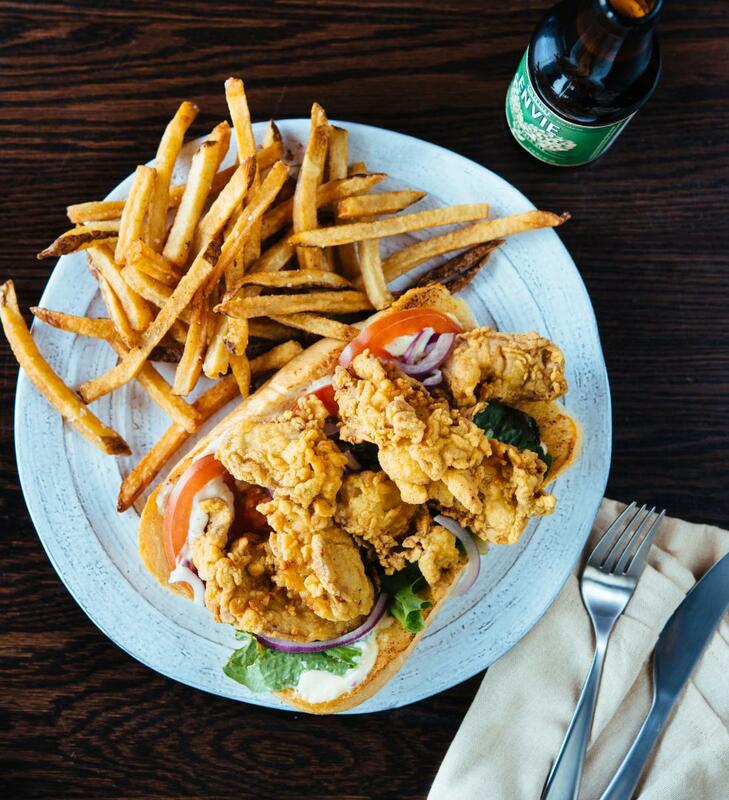 Cajun Food Tours will take you to 6 local, Lafayette restaurants where you can try Cajun food and drinks! Experience Lake Martin from a different perspective, call ahead and schedule a guided swamp tour and get to see all the wild life of Lake Martin up close and personal. Rent a kayak by the hour and paddle through the picturesque waters of Lake Martin. If you’re looking for an outdoor adventure, Lake Martin is the place to go! Zoosiana is the perfect place for animal-lovers of any age! Zoosiana features exotic wildlife in a free-range savanna habitat, a train ride, animal shows and an awesome safari playground. See over 750 animals from more than 130 species at Zoosiana. Take a tour of the Cathedral and the areas around the campus with their app (available in English, French and Spanish). The Cathedral museum displays memorabilia of the early bishops of the diocese and pastors of the Cathedral, historical documents, liturgical vestments, and vessels of the pre-Vatican II era. TRAIL (Transportation Recreation Alternatives In Louisiana) offers a bike rental program for anyone and everyone. Rent a bike for the week, for a day or even by the hour and ride around the trails in Lafayette or the downtown area. To find out pricing and to schedule your bike rental click here. TRAIL also has information and maps of all the trails around the area! Pack and Paddle offers kayak and canoe rentals that all you to explore Lafayette and the surrounding areas by water! Stop by their store or visit their website to learn more about renting, and don’t forget to research and ask about the best waterways to explore!